A young lady from Canada. I get quite a few hits on my Canadian doll page and posts, quite a few of them are obviously people trying to find out more about dolls they have. I always wish I could be more help but information about Canadian dolls seems to be a bit sketchy. 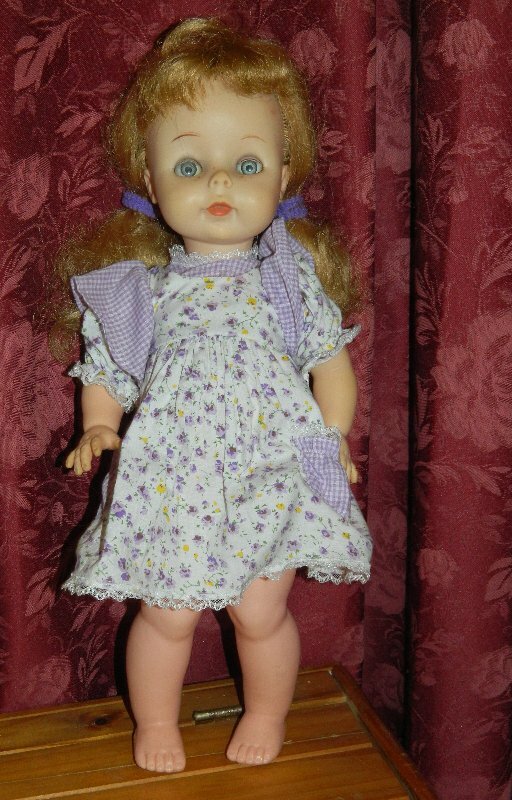 When I do searches myself I usually seem to come up with dolls for sale on eBay and a few references to Canadian doll companies but not often to individual dolls. Pretty much all I know about the companies is posted on my Canadian doll page already along with some links that I’ve found. However it occurred to me that by sharing what we know individually we can help each other. So I’d like to invite people to send descriptions of their dolls, preferably with an accompanying photo or a link to an online one to me. I’ll post them here and hopefully others will see them and comment if they recognise them. We could all learn something new. The email I use for this blog is sadieinoz1957@gmail.com and I will try to check it regularly. Please let me know if you are willing for me to use your photo on the blog and whether you would like your name mentioned or prefer to use a nom de plume. clothes: If you think the doll is in its original outfit. 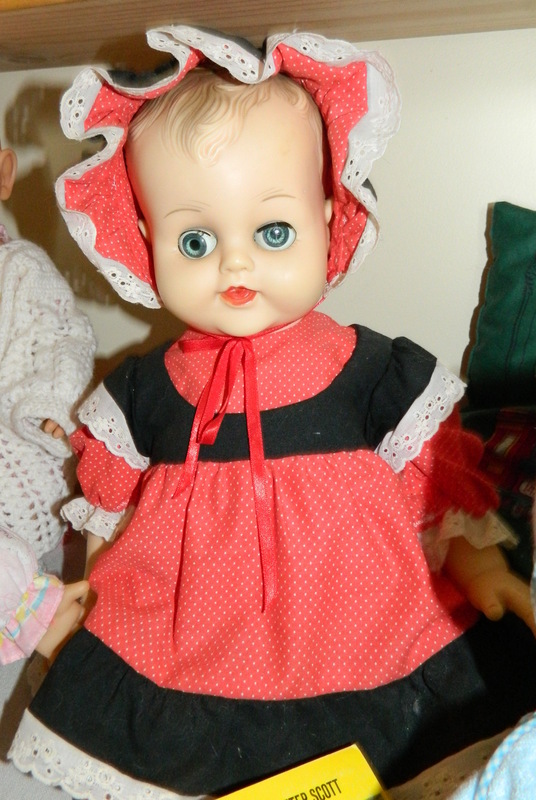 Anyone who has knowledge of or interest in Canadian dolls is welcome to comment or to email me. I’d be particularly interested in hearing from anyone involved in doll collecting clubs in Canada so that I can post the details for others to see. I am based in Australia myself and although I do have several Canadian dolls in my collection I’d like to think that people living in Canada have more knowledge and resources that they could share with fellow collectors. I could start a mystery doll of the week type post if there is interest in me doing it. Thank you! It makes my day when people enjoy seeing my dolls.